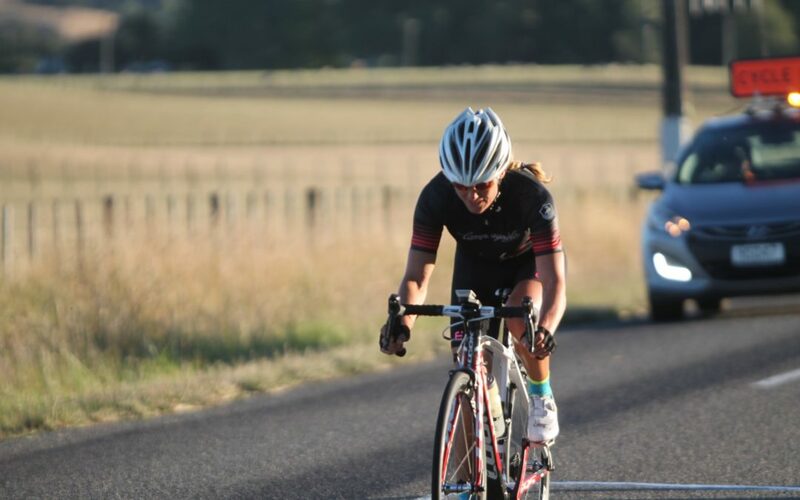 The bragging rights are all Mark Langlands’ and Belinda Fuller’s after they won the Athletics and Cycling Masterton annual club championship men’s and women’s road races respectively on Tuesday. Langlands took out the men’s 60km race after reining in the breakaway pair of Simon Pumfrey and Jeff Saywell. Ben Knight and Johnny Burkhart attempted to go with him, but Langlands’ attack was decisive, and he was the only rider who succeeded in crossing the gap to Pumfrey and Saywell. Langlands clocked one hour, 33 minutes and 54 seconds tailed by Pumfrey [at same time] and Saywell third on 1:34.07. In the women’s race which started with the men’s, it was Belinda Fuller who stayed with the main bunch for the whole time and managed to take out the race in a time of 1:38.11. Emily Lutyens [1:43.36] was second after working hard to stay with her bunch over the Miller’s Rd climb and then producing a strong sprint at the finish. Kirsten Goodin was third in 1:48.45. Men: 1 Mark Langlands, 1:33.54, 2 Simon Pumfrey, 1:33.54, 3 Jeff Saywell, 1:34.07. Women: 1 Belinda Fuller, 1:38.11, 2 Emily Lutyens, 1:43.36, 3 Kirsten Goodin, 1:48.45.